Dating can be a tricky game. It's often difficult to know how to impress a potential partner without going over the top. 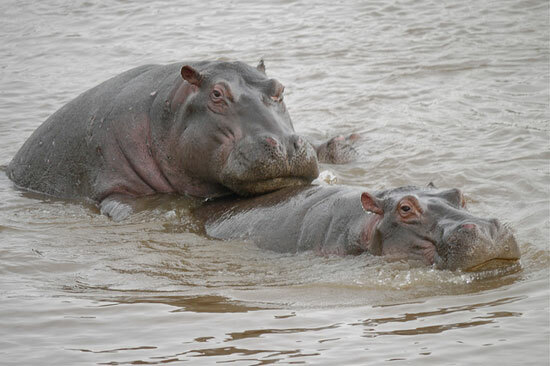 Take some tips from the animal kingdom, where some species pull out all the stops in the quest to bag a partner. 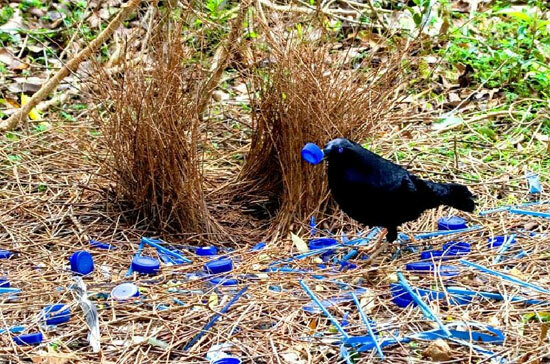 This satin bowerbird, from Australia, knows that the female of the species is a fan of all things blue. He goes on a mission for blue things, then uses them to decorate his bower; a sort of love nest. Females visit all the bowers in the area until they find one that meets their satisfaction. Other bowerbird species are into different colours and the males use flowers, leaves, junk and shells to decorate their pads. 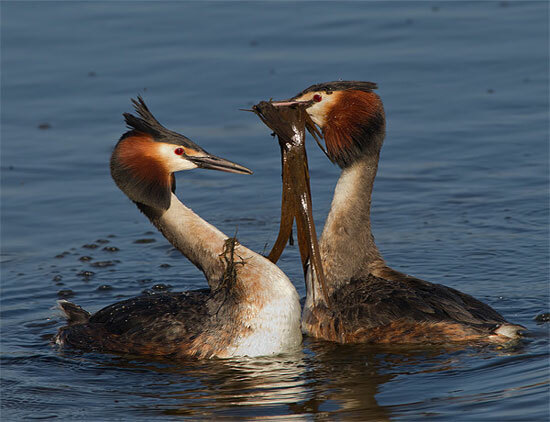 Great crested grebes exchange gifts at mating time which often include nesting material. The human equivalent would perhaps be turning up to a date with a pram. Happily, great crested grebes aren't too fazed by the advance and the presumptuous present usually seals the deal. Dancing is dangerous territory when it comes to dating, but that doesn't put off the male wolf spider. He raises himself up and waves his palps (those things at the front) in a sort of semaphore routine. It's impressive stuff to watch. 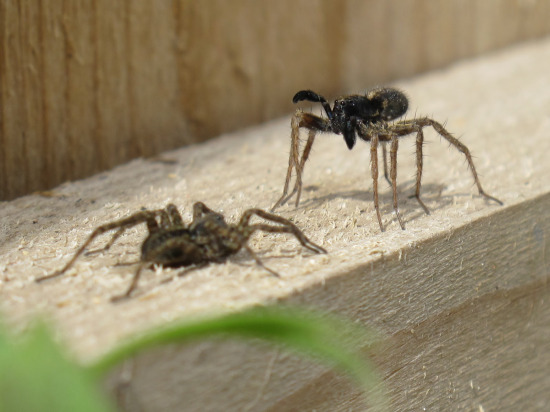 A great tactic, but as soon as he gets close enough, the male wolf spider stabs the female with those palps, which is how mating takes place. There's no nice way to put this, but in order for what is happening in the above picture to take place, the male has to attract the female. And he does this by... spraying her with faeces as she passes. Definitely one best left to the animal kingdom. 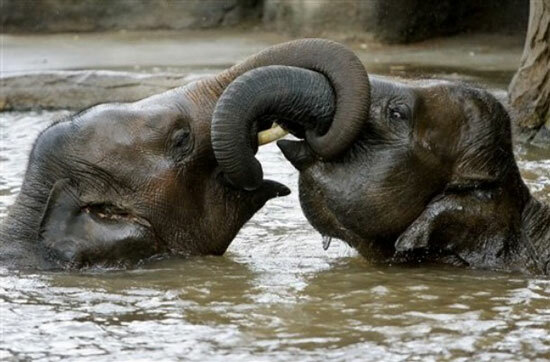 During their quest to seduce, male elephants often go for a softly softly approach, standing face-to-face with the female and interlocking trunks. 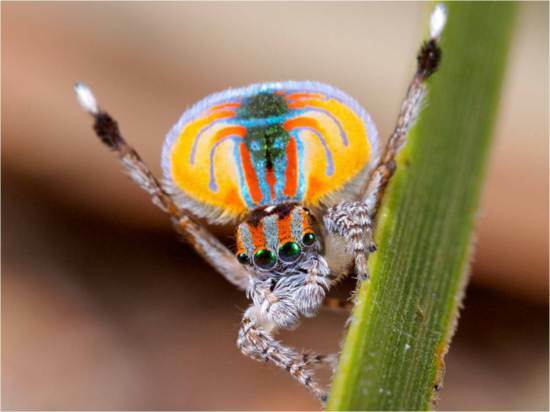 At 4mm long, the peacock spider is tiny. But what he lacks in size, he more than makes up for in impressive colouration. At mating time, he displays stunning patterns and lifts this spectacular flap on his back. Not only that, he performs a wonderful dance, raising his legs high in the air in an attempt to impress potential mates. It's a risky business: those who aren't impressed, or who have already mated, might eat him up. 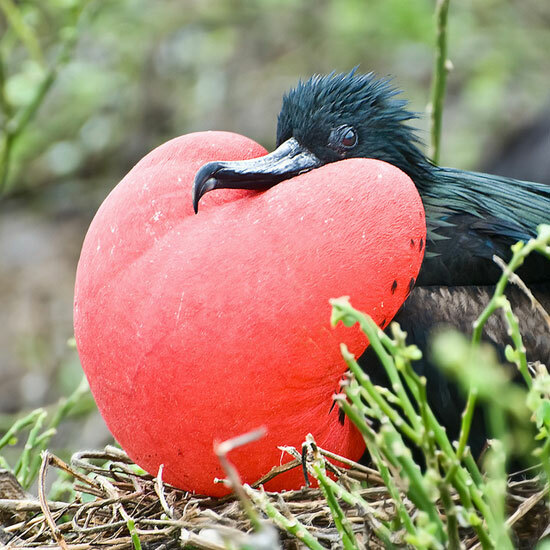 During mating season, the male frigate bird, from South America's Galapagos islands, puffs out his chest into this enormous, inflatable red thing, which looks a bit like a love heart-shaped balloon. Sweet. 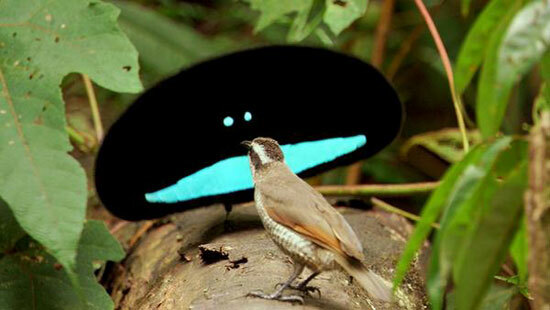 That's not a giant smiley face, but the impressive mating plumage of a bird of paradise. He pimps himself up into an iridescent oval that looks a bit like a crazy face and dances around the rather plain-looking female. His trance-like dance and the ticking sound made by his quills usually hypnotises his mate into seduction. 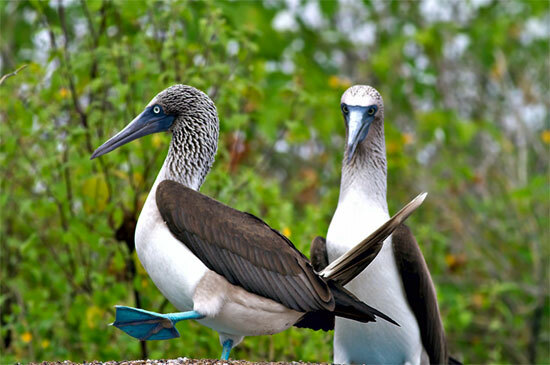 Once you've got the juvenile sniggers out of the way, the mating habits of the booby are pretty interesting. Hailing from the Galapagos Islands, the blue-footed booby does a stomp with his massive turquoise feet in an attempt to impress potential mates. The brighter the blue feet, the healthier the male. Blue-footed boobies are monogamous and the feet are used to protect young, so it's an important part of the selection process. 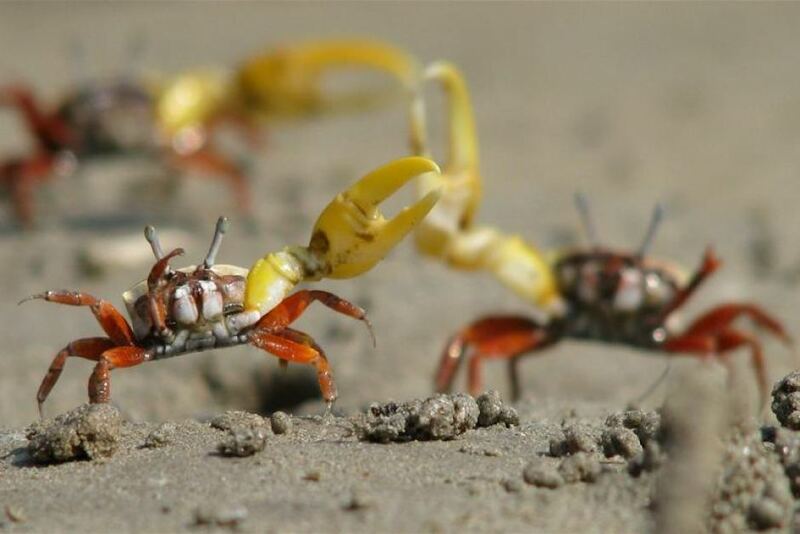 These crabs wave their massive yellow claws as they try to grab the attention of females. Experts have described seeing a sea of claws fling into the air when there's a female nearby. Studies using mechanical crabs have found that the lady crabs prefer to go for males with bigger claws and faster waves.